The Robbins Crossover XRE machine—the first such machine to operate in the U.S.—achieved advance rates of up to 111 ft per day in two 10-hour shifts. On Aug. 29, 2018, a 30.4-ft diameter Robbins Crossover (XRE) TBM crossed the finish line at the Akron Ohio Canal Interceptor Tunnel (OCIT). A press day followed on Sept. 5, where companies and members of the media were invited to view the giant machine. The machine—dubbed “Rosie” in honor of Rosie the Riveter, an icon representing American women who worked in factories and shipyards during World War II—overcame tough ground conditions during the bore. The City of Akron’s water initiative—Akron Waterways Renewed—is on a mission to promote the benefits of the OCIT and related structures, and dispense knowledge about the EPA-mandated solution to clean up the city’s waterways. The OCIT is the key component of the city’s Long-Term Control Plan aimed at reducing Combined Sewer Overflows (CSOs) into the Little Cuyahoga River and surrounding streams. The tunnel is part of a system that includes drop shafts, diversion structures, consolidation sewers, and related appurtenances that will decrease the flow of untreated CSO and direct wastewater and storm water through Akron’s Water Reclamation Facility. “About 30% of Akron’s current system is combined sewers. This includes drainage from showers, sewers, and other sources combined with storm water, so sometimes, the flow exceeds the designed capacity. By achieving the Consent Decree requirements, we expect zero untreated overflows in a typical rainfall year,” said Heather Bolestridge, Communications Manager for Akron Waterways Renewed. The 6,200-ft long OCIT will thus be able to handle 450 million gallons of CSO annually in a 27-ft finished inside diameter tunnel. If rainfall is above typical, a further 17 million gallons of overflow can be diverted through an Enhanced High Rate Treatment (EHRT) process that will allow the water to be directly released into the Little Cuyahoga. The EHRT is a separate project that will be completed in the future. 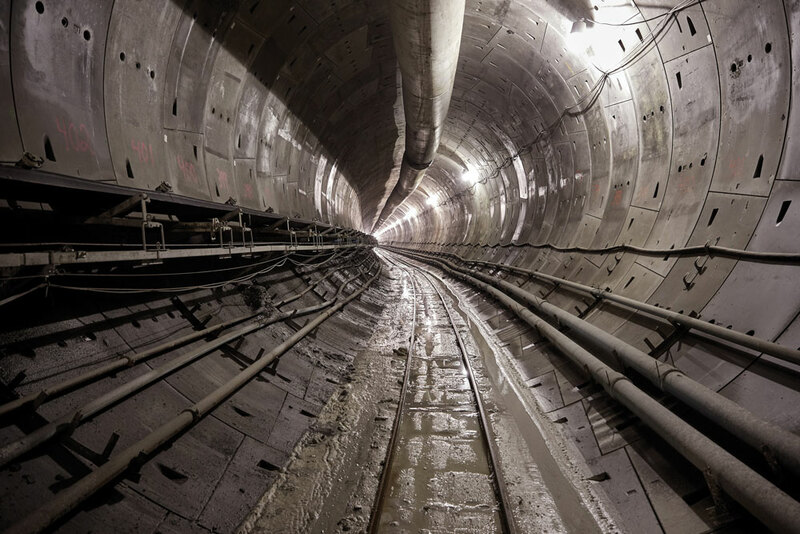 The tunnel will pull from nine main regulators referred to as racks (overflow spots) along a narrow corridor to achieve the water storage, while the city’s other overflow spots are being controlled through storage basins, sewer separations, maximizing conveyance and green infrastructure. The 1.17 mi long EPA-mandated OCIT Project for the City of Akron, Ohio, USA consists of the construction of a conveyance and storage tunnel system to control Combined Sewer Overflows (CSOs) for several regulators in the downtown Akron area. The Crossover XRE TBM was designed for the project’s geology, which transitioned from soil to partial face shale to full face shale rock. The Crossover XRE included features of both EPB and Hard Rock Single Shield TBM types, with a versatile cutterhead that could be configured for hard rock or soft ground conditions. 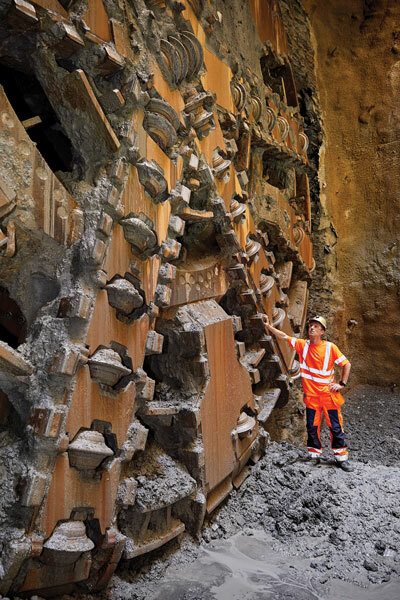 The cutterhead design was built to specifically address a major problem for mixed ground TBM tunneling: that of abnormal flat and multi-flat cutter wear, resulting in the cutter wearing flat on part of its surface. Abnormal wear is a consequence of the soft ground encountered, which cannot provide sufficient rolling force for cutters to overcome the pre-torque of cutter bearings. The XRE TBM cutterhead was equipped with 56 housings that could be dressed with either knife bits/rippers or 17-in. disc cutters. Due to geologic variability, the contractor JV of Kenny/Obayashi and Robbins decided that disc cutters would be beneficial from the outset, and launched the machine with a full dressing of discs. In consideration of the 65% drive in rock, the cutterhead was also dressed with Hardox 450 faceplates to reduce the risk of abrasive wear. 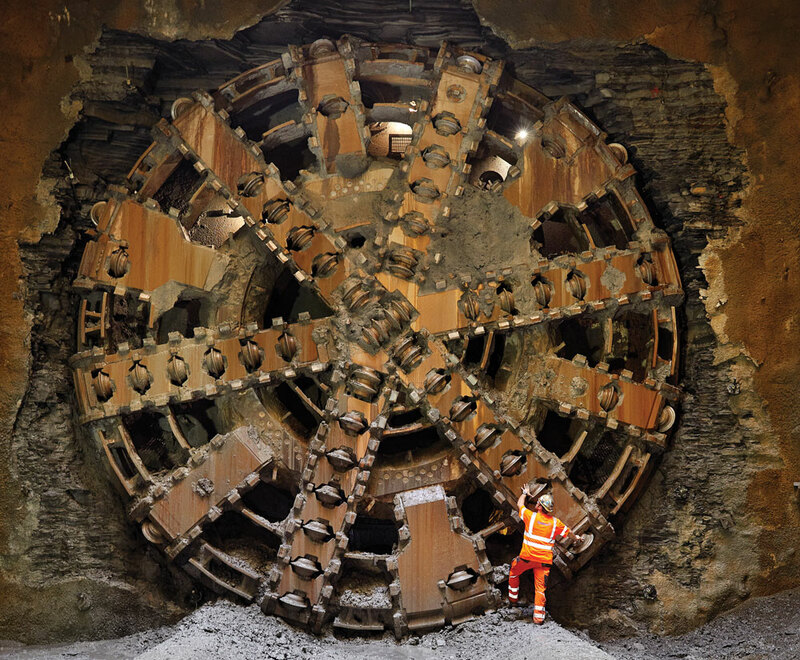 The 30.4 ft diameter Robbins Crossover TBM was designed and built in Robbins’ Solon, Ohio, USA facility. When boring in soft ground, it was decided to reduce the pre-torque of the cutter bearings by 25% to require less rolling force for each cutter to rotate evenly. Furthermore, in order to avoid hyperbaric intervention in the first 1,610 ft of boring, sacrificial rippers were welded to intervene in case of ring wear greater than 0.6 in. In the event a cutter becomes blocked, rippers enable continued cutting of the face until the machine reaches a section where it can operate in open mode. 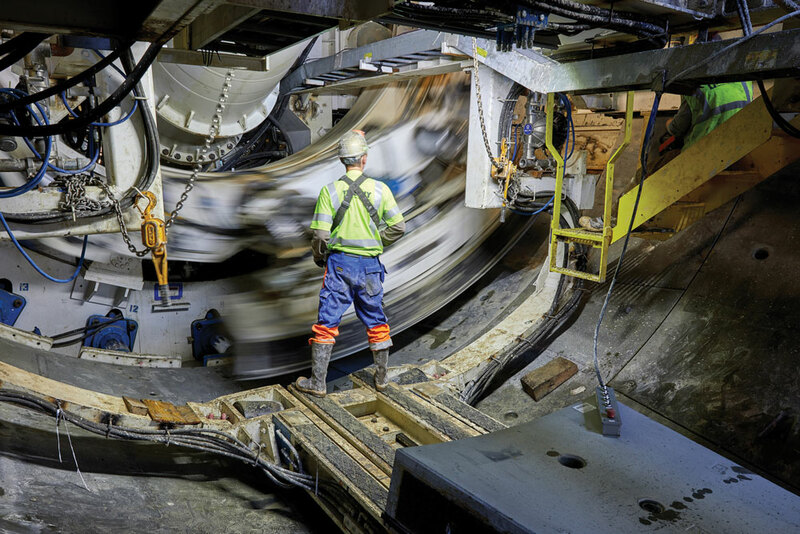 The screw conveyor was another customized component of the TBM: it is a shaft-type design, 64.5 ft long, 47 in. 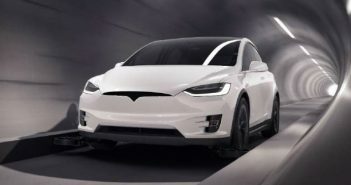 in diameter, with a tapered front nose to 30 in. In consideration for the OCIT geology and the necessity to muck out shale bedrock, the single shaft-type screw conveyor required a much higher speed than would normally be provided. 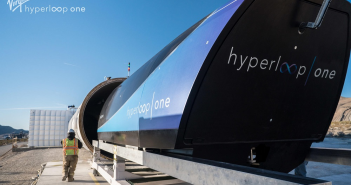 The hydraulic power unit had an output of 5×110 kW, which brought the max theoretical speed of the conveyor to 16 rpm at a limited torque of 232 kNm. In both rock mode and mixed ground, and to a lesser degree in EPB mode as well, the auger and the casings were in contact with abrasive material creating wear. The screw conveyor was designed for an abrasive environment, with the leading face of the front auger flight and the outside diameter covered with welded-in wear plates made of Chromeweld 600 – a premium grade of chromium carbide wear plate – and hardfacing in a crosshatch pattern. The auger shaft was also covered in a crosshatch pattern of hardfacing. In addition, the inside diameter of the casing was similarly reinforced with Chromeweld 600 for the first 1/3 of the casing, followed by hardfacing in the remaining 2/3 of its length. Ports in the screw enabled injection of foam, bentonite, or other lubricants. 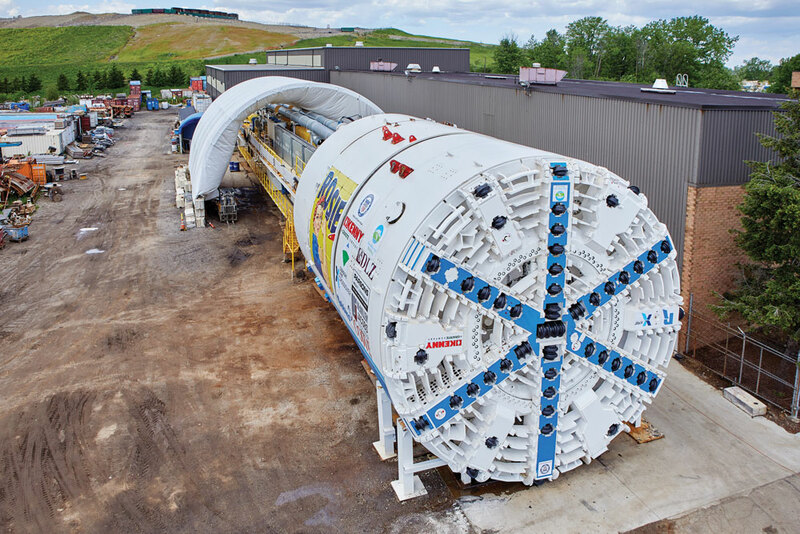 On August 29, 2018, a 30.4 ft diameter Robbins Crossover TBM broke through at the Akron Ohio Canal Interceptor Tunnel (OCIT). Behind the Crossover TBM is a Robbins Continuous Conveyor system for muck removal. 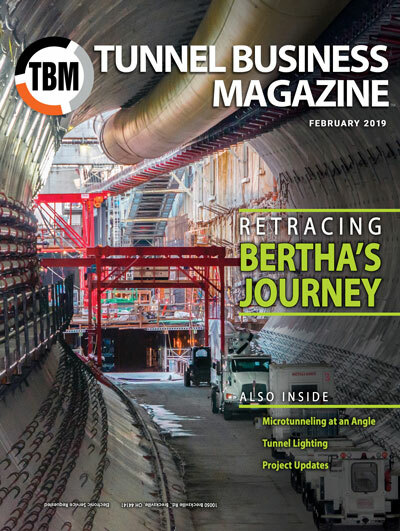 The side-mounted conveyor is somewhat standard in design, but the system also happens to be the 100th continuous conveyor that Robbins has provided behind a TBM—more than any other conveyor manufacturer. The system consisted of a main drive, splice stand, storage unit, and advancing tailpiece, operating through several curves requiring patented self-adjusting curve idlers that adjust belt tension based on the belt load. The system discharged onto a customer-supplied overland conveyor, which delivered the muck to a large storage yard near the portal site. The TBM launched from its portal site Oct. 20, 2017 with a depth to invert of approximately 40 ft through a jet grout plug installed to provide a controlled launch environment. Cutterhead clogging was a problem in the initial section, but crews were able to overcome it. While in soft ground and mixed face conditions, the machine operated in closed mode, but once it hit solid rock crews switched excavation to open mode. “The machine had the power to get to the other side and made advance rates we never thought we were going to get. It was very successful in hard rock,” said Chastka. Advance rates once in full-face shale rock reached a high of 111 ft in one day (two 10-hour shifts). Muck removal was achieved the Robbins continuous conveyor, and conveyor availability remained high throughout the project.